But DICE executive producer Patrick Bach rejected these complaints, calling the reaction "sad". "People tend to forget we built three other Battlefield games in between Battlefield 2 and Battlefield 3," he told Eurogamer. "That's a natural reaction. People then think we won't support Battlefield 3, even though we have the Premium version, people know we're working on future expansion packs and we've been very open in explaining what we are doing. "We heard that before with Battlefield 2. It was like, oh, you stopped supporting games! No, we're working like hell, but we haven't announced it yet. We have now announced we are putting a lot of effort into supporting Battlefield 3 and still we get reactions like this. I think it's just sad. We are dedicated to supporting Battlefield 3. People seem to be worried for all the wrong reasons." Bach said DICE is now better than it's ever been at supporting its games, and has a huge team at its Stockholm, Sweden headquarters working hard on multiple projects at all times. "Knowing we are working on more than Battlefield 3 might upset some people, but still people want something awesome in the future, and that takes time," he said. "We are better than ever when it comes to supporting our game, because we have more people doing more things that are even more adapted to what the community wants combined with what we want and trying to make the best possible post-launch experience for everyone, including ourselves. "And of course we want to make sure we don't end in a, oh it'll take six years for the next big Battlefield to come out situation." Back said DICE has been buoyed by the success of Battlefield 3, and it's reached the point where publisher and owner EA is backing the developer in all its efforts. "We are much better today than we were before. Part of it is based on the success of Battlefield. We can afford to have more people to work on these things, and EA is supporting us doing this. They are really happy. "That's based on the fact that if you make a great game the rest will figure itself out. It's worse when you make a bad game. You still need to make your money. Everyone is supporting us in how do we make a better game? To us this is a very natural thing. "And then, when it's announced.... yeah, what can I say? I'm really sorry some people feel we're not doing the right thing. But, honestly this is something good for everyone." Battlefield 3 launched in October 2011, and since then a number of updates have been released, each one tweaking the gameplay in different ways. Now, some nine months later, Bach declared himself satisfied with the core of the game. "We're still tweaking stuff and we're still finding out new things that aren't perfect," he said. "But in general, this was the game we tried to build, and if that was right or wrong that's up to the consumer to judge. Battlefield 3, the brain goes, like, what will it be? This is it. This is the game we wanted to build. And we and apparently 15 million other people are quite happy with it. So personally I'm super proud of the game." At Gamescom last week EA announced Battlefield 3: Premium Edition, which includes the game and a Premium subscription for around £40. It launches later this year. 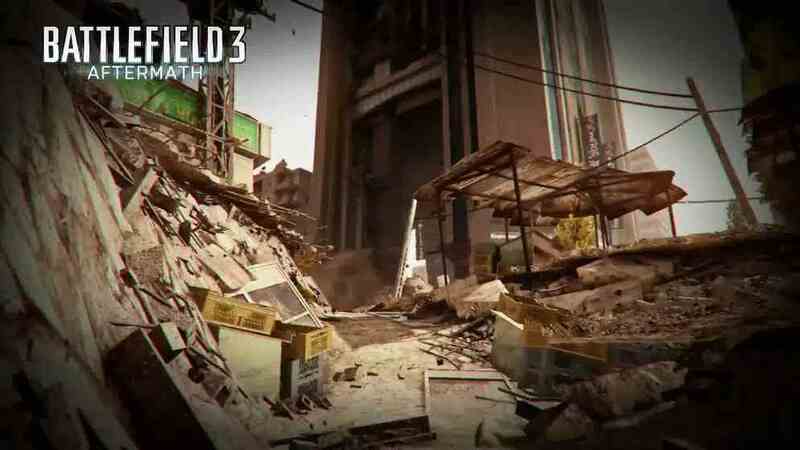 Bach said DICE hopes this will attract newcomers to Battlefield 3. "This is a great offer. One, it's the same price as you pay for an ordinary game, but you get 28 maps (20 packs for Premium and eight in the base game). Instead of just price-dropping like most games do after a while, we bundle it and make it a better offer. It's better than price dropping and waiting for it to go away, because Battlefield doesn't go away. We're starting to understand this after seven years. Oh yeah, people tend to buy Battlefield for quite some time."